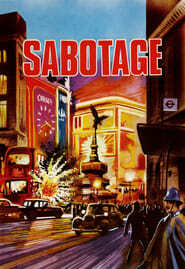 A Scotland Yard undercover detective is on the trail of a saboteur who is part of a plot to set off a bomb in London. But when the detective’s cover is blown, the plot begins to unravel. A young bakeshop owner’s holiday season takes a surprising turn when she finds a body at a local Christmas tree lot and winds up involved in a dangerous murder investigation….